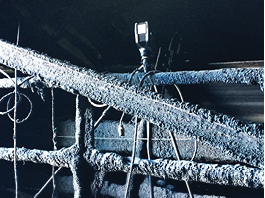 ASGCO® Point Cloud Laser Scanner is a powerful high-speed Focus3D X 130 HDR 3D scanner, delivering realistic and true-to-detail scan results. 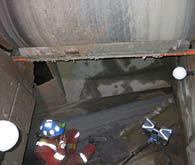 The laser technology is more accurate than traditional methods because it looks at thousands of points along the clearance plane, not just a few sample points. 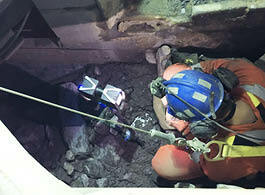 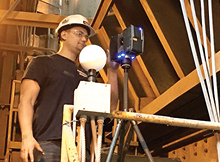 The ultra-portable Point Cloud Laser Scanner enables fast, straightforward, and yet accurate measurements of facades, complex structures, production and supply facilities, accident sites, and large-volume components. 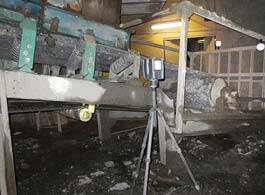 ASGCO® Point Cloud Laser Scanner delivers extraordinary color overlays for scanned point clouds. 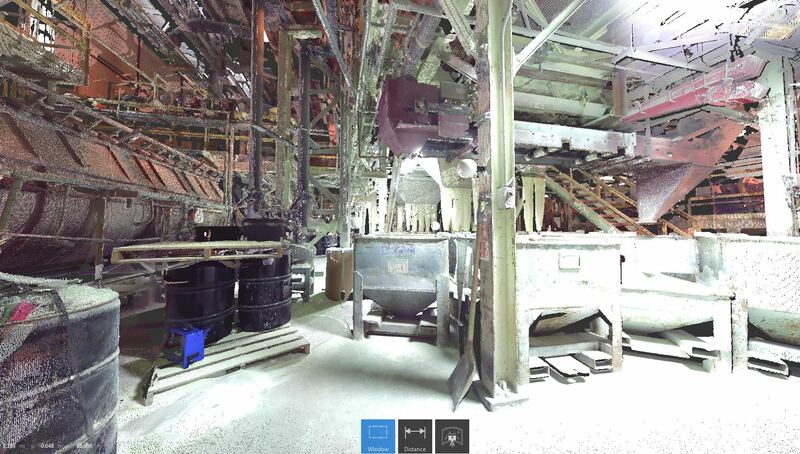 This improves the visualization of important details on site. 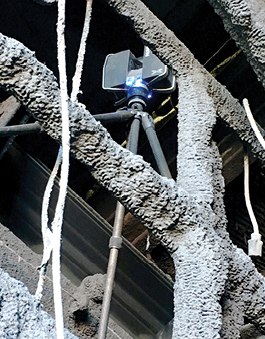 Our system can capture over 1 million points per second and can scan through 360° horizontally and vertically. 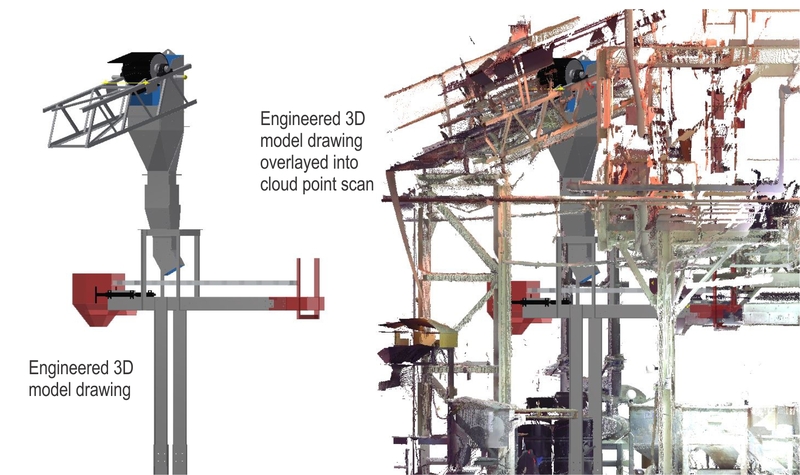 Once the chute and conveyor are modeled the image is overlaid into the cloud point scan to ensure there are no interferences and that all modeled equipment fits properly. 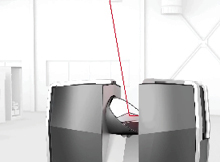 Rotating laser touches its surrounding to determine the coordinates and space. 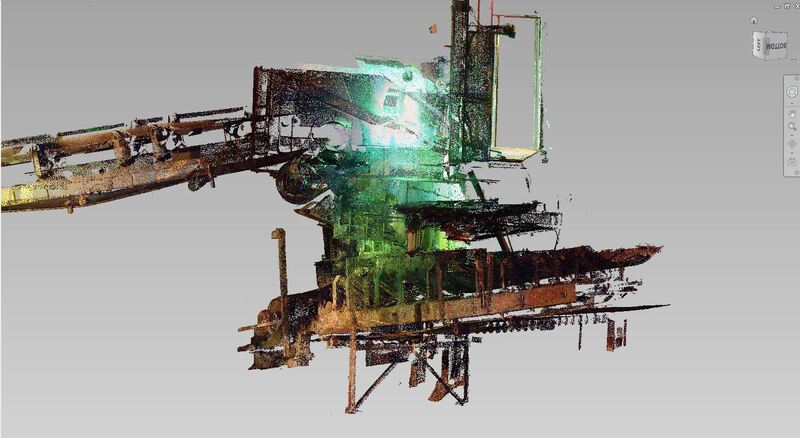 Using Point Cloud Laser Scanner in complex spaces. 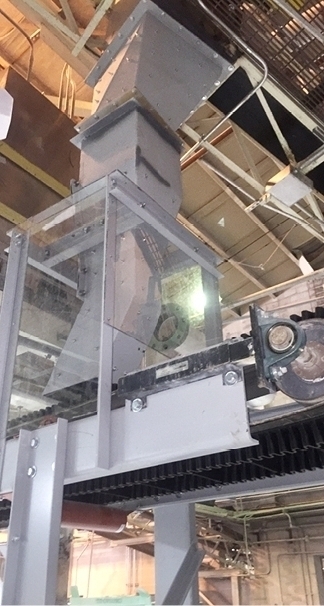 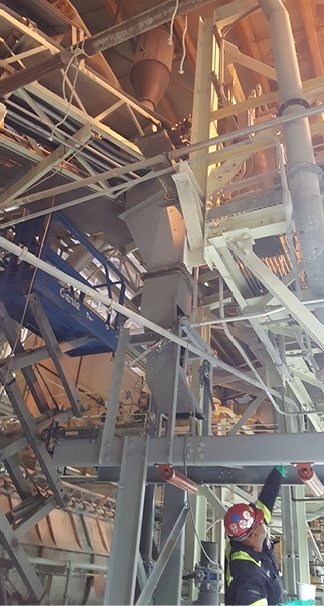 Point Cloud Laser Scanner in complex overhead conveyor. 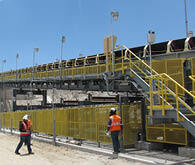 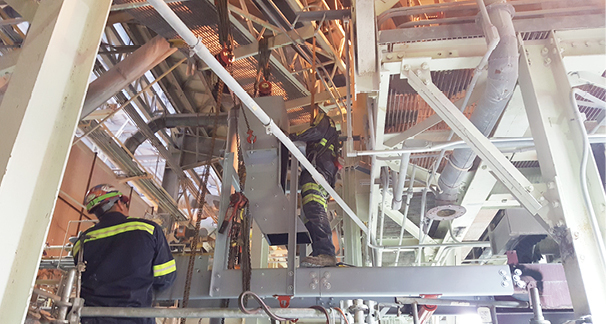 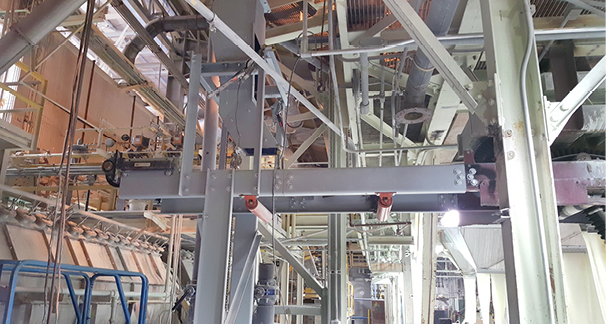 Point Cloud Laser Scanning at a waste-to-energy facility.